The mobile version of Disney Infinity 3.0 is releasing today for digital devices. The iOS version in the App store is available now, the Android version of Google Play and Amazon App Store version will be releasing shortly. Still no solid date for the PC version. 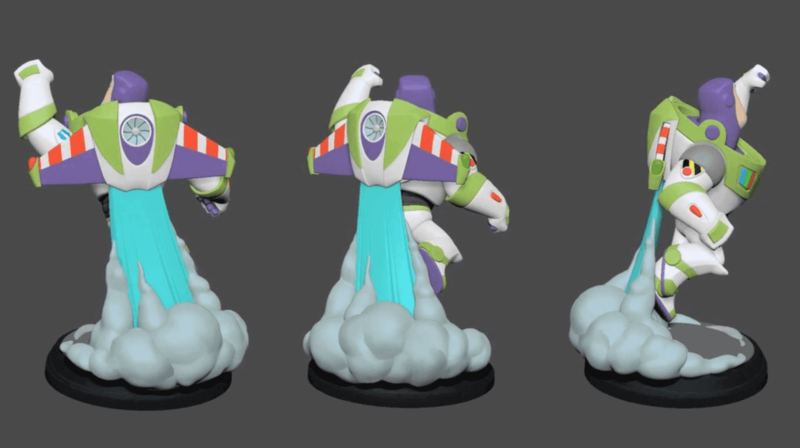 We’ve packed the Disney Infinity:Toy Box 3.0 app with many of the most popular new areas of the Disney Infinity 3.0 Edition Toy Box mode, including the Toy Box Hub, the El Capitan community center and farming simulation. Also, we were sure to include all of the popular existing Toy Box features, such as Toy Box sharing, networked multiplayer, INteriors and of course, players can unlock toys and Power Discs in new Daily Challenge mini-adventures. Imagine a wide-open world of possibilities where all the characters, vehicles and settings you’ve collected can come together in whatever way you want them to. Create your own game universe where you can make anything happen. Mix, match and mash-up Star Wars™, MARVEL, Disney and Disney•Pixar characters together in one place! Access your Toy Boxes from your iOS device, PC, and console. Continue right where you left off on any platform when logged into your Disney Account. Full Metal optimization brings the graphics and game-play performance to near-console quality on Metal compatible iOS8 devices. **This game requires more than 2GB of disc space. **This game recommends iPhone 5 and above or iPad 2 and above. Registration may be required for some features.